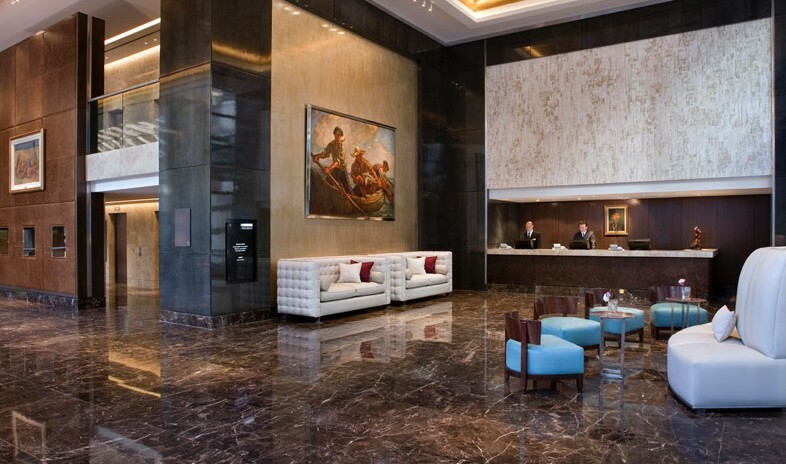 The Alvear Art Hotel opened in May of 2013 with 139 up-to-the-minute guest rooms and 3,000 square feet of meeting space in the traditional heart of Buenos Aires: near Plaza San Martín, a few short steps from the shops of Santa Fe Avenue and Florida Street, Galerías Pacifico, the Obelisk, and Colón Theatre. Like its legendary big sister in the Recoleta district, the Alvear Palace Hotel, the Alvear Art emphasizes highly personalized service. But unlike its big sister's grand-dame surroundings, the newest generation reveals a modern urban sensibility marked by floor-to-ceiling windows, contemporary furnishings, and cutting-edge art. Other highlights include fine dining at the restaurant Contraluz and a health club on the upper floors complete with pool, fitness center, spa treatments, and bird's-eye views of Buenos Aires.